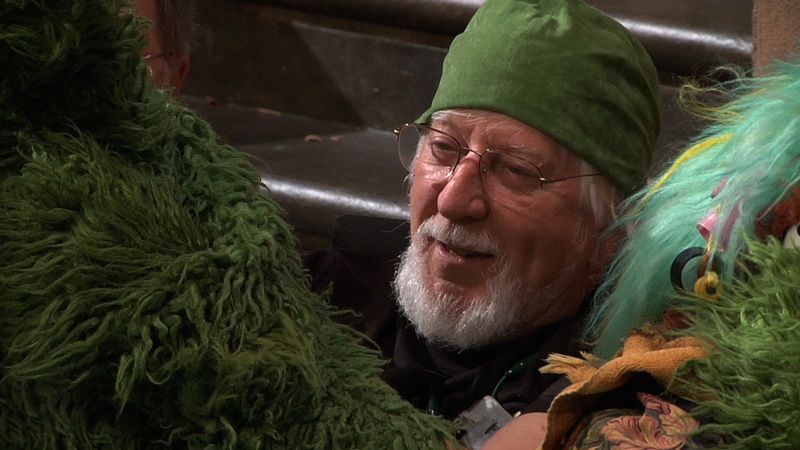 When Dave LaMattina was interning in Sesame Street’s home video department in 2005, he didn’t think he would end up making a film about Caroll Spinney, the legendary puppeteer behind the iconic Sesame Street characters Big Bird and Oscar the Grouch. Spinney, an Air Force veteran who is now 78 years old, has been a puppeteer for one of Jim Henson’s franchises for over four decades now. Chad Walker, who is co-directing and co-producing the film with LaMattina, said of the project, “As soon as I heard Carroll was still behind Big Bird and Oscar, I knew I wanted to know more about him. And it’s hard for Spinney to turn the characters off. During an investment meeting, Spinney brought along an Oscar puppet and in the middle of a presentation, the puppet yelled “BORING!” Moments like that, the filmmakers recounted, happily came with the territory. The “I Am Big Bird” team is raising money on Kickstarter. Click here to find out more and donate. An exclusive clip and the film’s trailer are below!